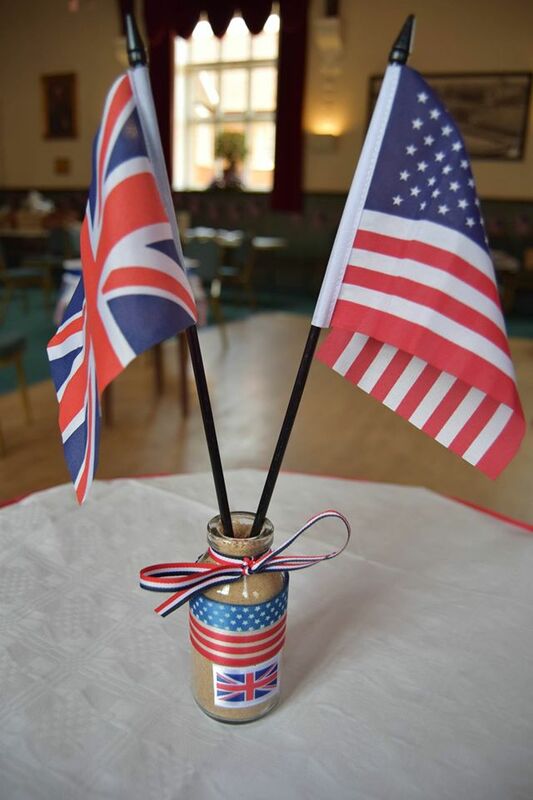 The Town of Hunstanton was twinned with the 67th Special Operations Squadron of the USAF on 6th May 2016 in a Ceremony held at Hunstanton Town Hall attended by 180 invited guests including 40 USAF personnel. 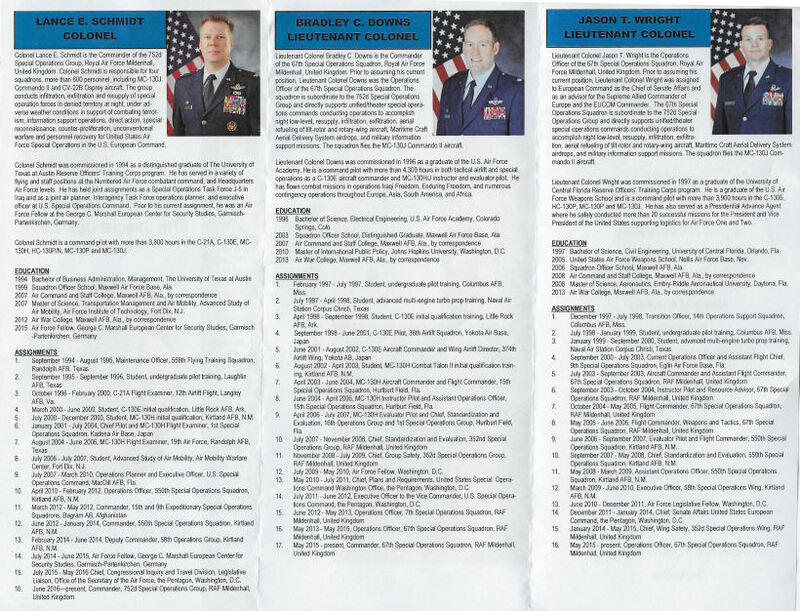 The USAF Squadron played a vital role during the terrible Floods of January 31st 1953, which claimed the lives of 16 Americans and 15 of their English neighbours. 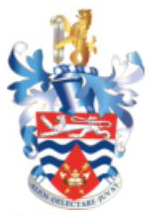 Neil Quincey will never forget the four members of the 67th Air Rescue Squadron who risked their lives when they took him in their amphibious craft in a brave attempt to rescue his wife and three children from their home in South Beach Road, which was flooded to a depth of eleven feet. This attempt failed when the vessel capsized within yards of Neil’s house, but later they were all taken to safety by Reis Leming, who was subsequently awarded the George Medal for his single-handed rescue of 27 victims. Neil’s next-door neighbour, USAF Staff Sergeant Freeman A Kilpatrick received the same award for saving the lives of 18 of his neighbours. 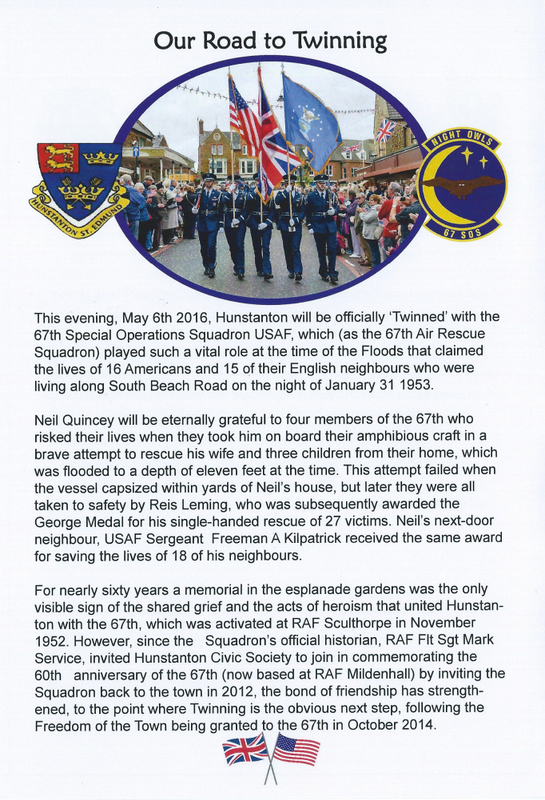 For nearly sixty years a memorial in the esplanade gardens was the only visible sign of the shared grief and the acts of heroism uniting Hunstanton with the 67th which was activated at RAF Sculthorpe in November 1952. 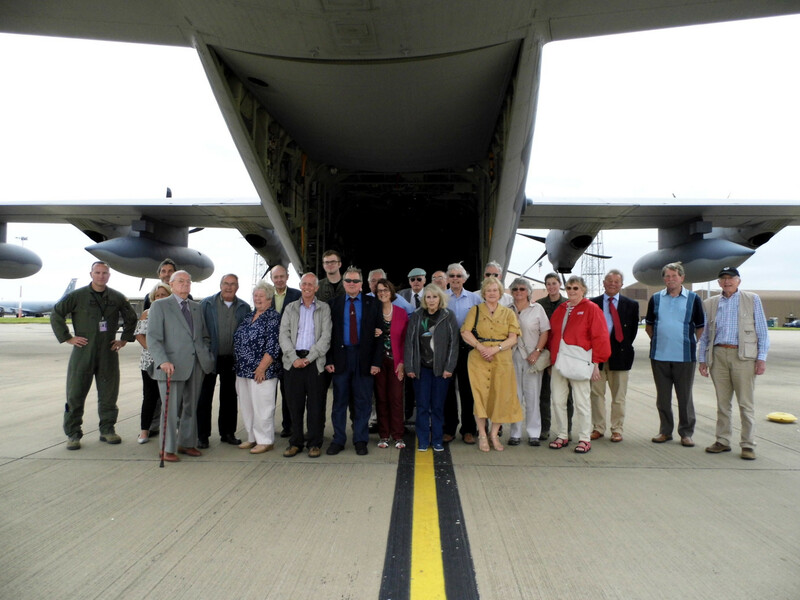 However, in 2011 the Squadron’s official historian, RAF Flt Sgt Mark Service, invited Hunstanton Civic Society to join in commemorating the 60th anniversary of the 67th (now renamed the 67th Special Operations Squadron and based at RAF Mildenhall) by inviting the Squadron back to the town in November 2012. 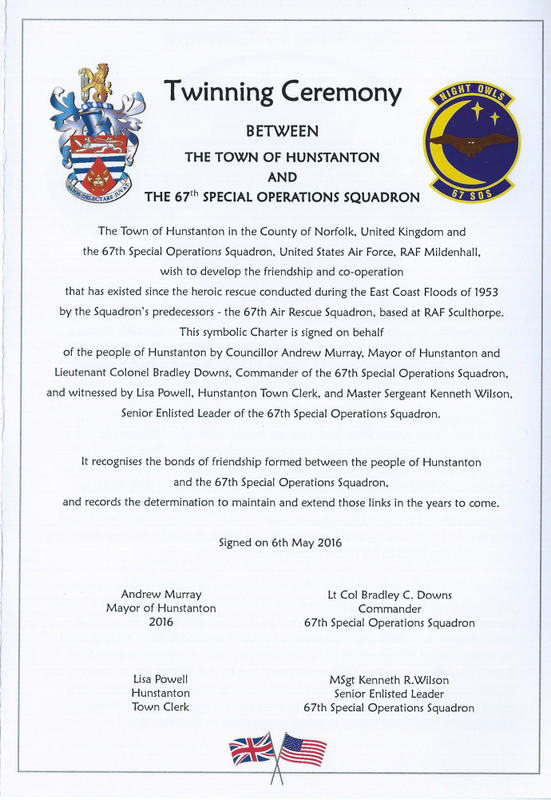 Since then the bond has strengthened, to the point where ‘Twinning’ seems the obvious next step, following ‘Freedom’ of the town being granted to the 67th Special Operations Squadron in October 2014. 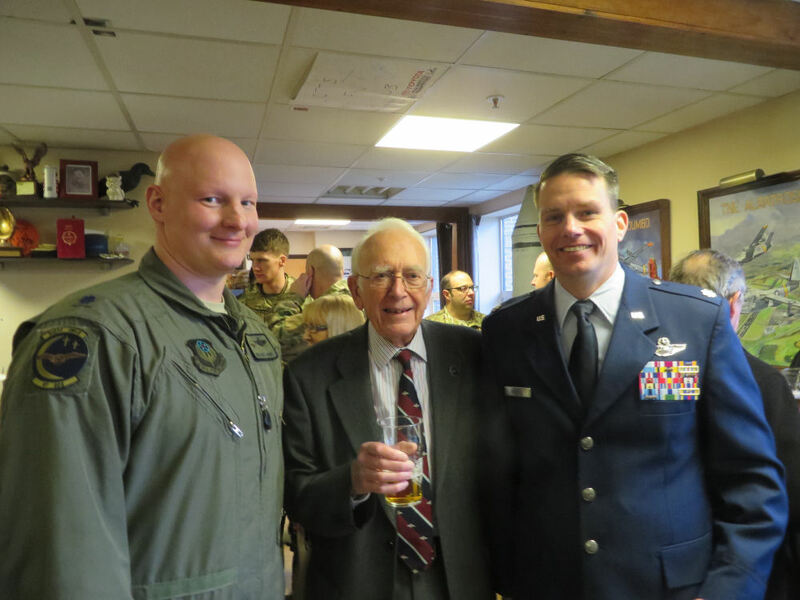 The resort owes an enduring debt of thanks following the events of January 1953, when airmen led by Reis Leming, and Freeman Kilpatrick heroically saved dozens of lives from the terrible flood that hit the East Coast. 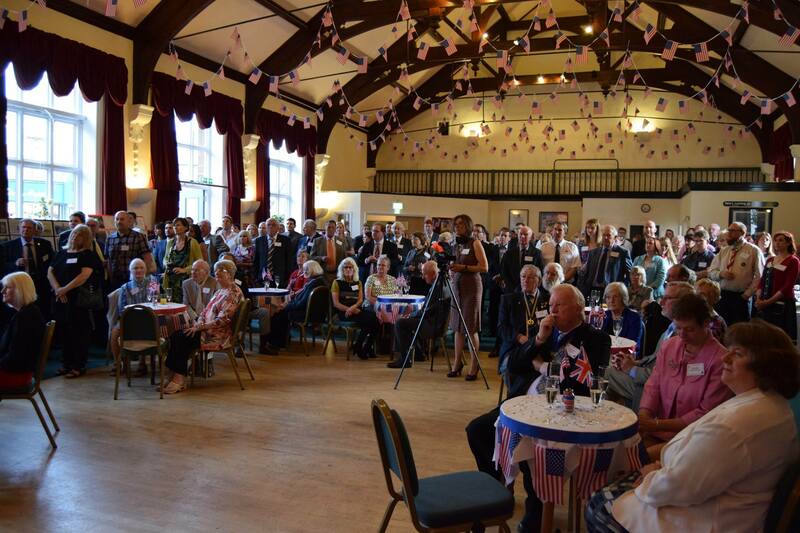 On Friday night 200 people turned up for a twinning ceremony at the town hall at which a symbolic charter was signed by Hunstanton mayor Andrew Murray and Lt Col Brad Downs, commander of the 67th Speical Operations Squadron, which is based at Mildenhall. Mr Murray admitted that the twinning had been subject to “air turbulence” on the way to the ceremony. 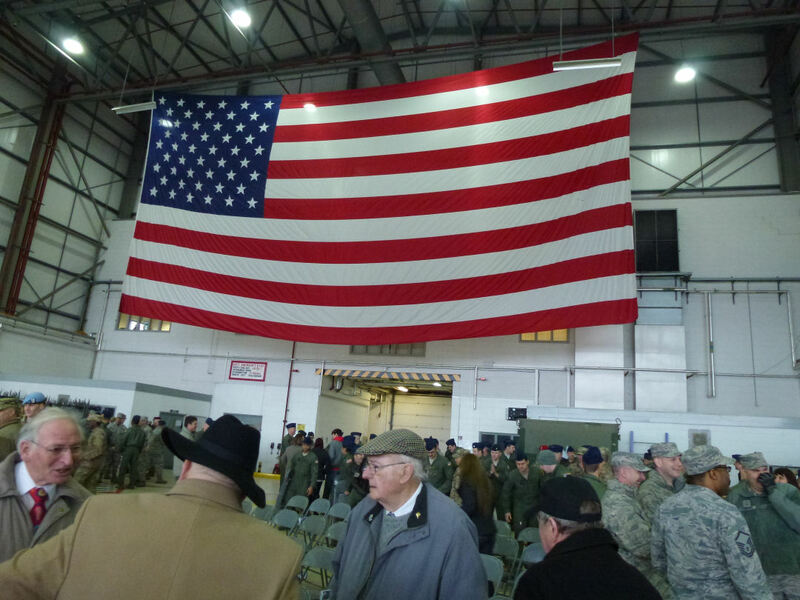 “Shortly thereafter, I met a few of the gentlemen in this room tonight as they were visiting RAF Mildenhall and it started to become clear. After several of Mark Service’s history lessons, and finally meeting Mr. Neil Quincey…I understood why. 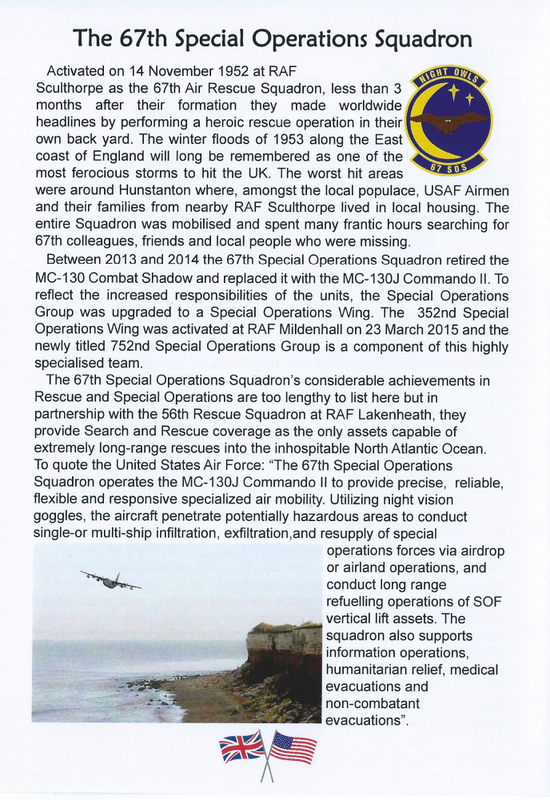 A group of about 24 visited the 67th SOS at R.A.F. 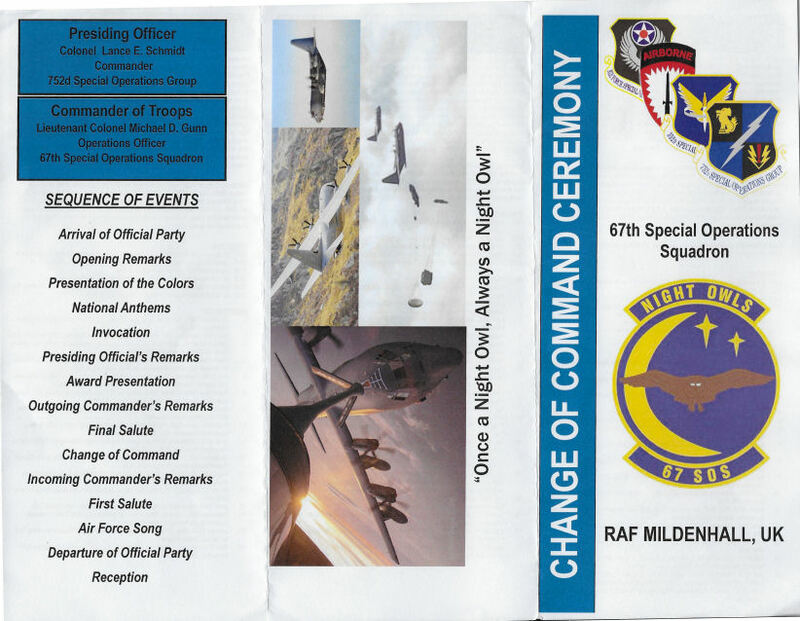 Mildenhall on Friday, 15th July 2016. 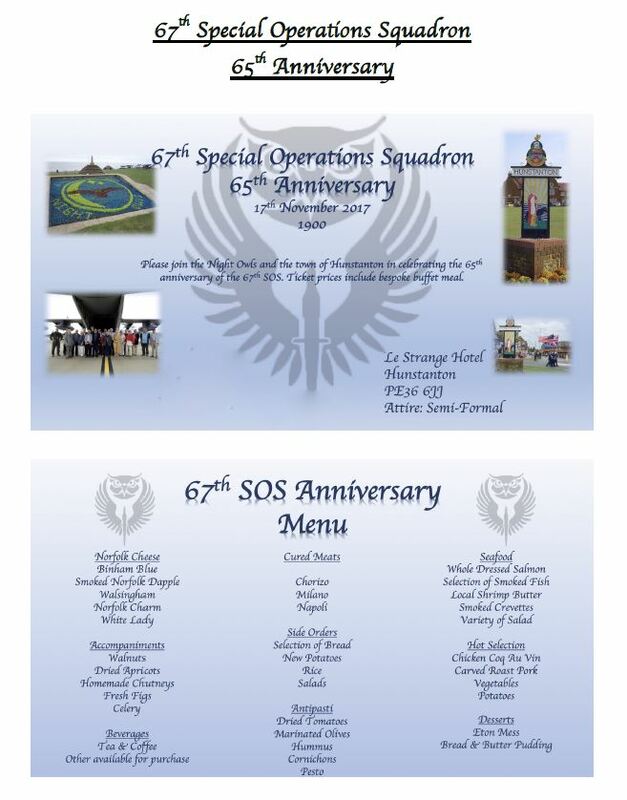 We met up at Judes Ferry Inn at West Row, Mildenhall for an early bite of lunch before being escorted through security onto the airbase where we drove past a large number of buildings and different types of aircraft before arriving at the 67th SOS operation building. We were welcomed in their briefing room and introduced to some of the history and goings-on with the squadron by Lt Col Brad Downs, Commander of the squadron and some of his officers. We were then escorted out to one of their MC-130J Commando 11 aircraft which was one of seven lined up on the tarmac. 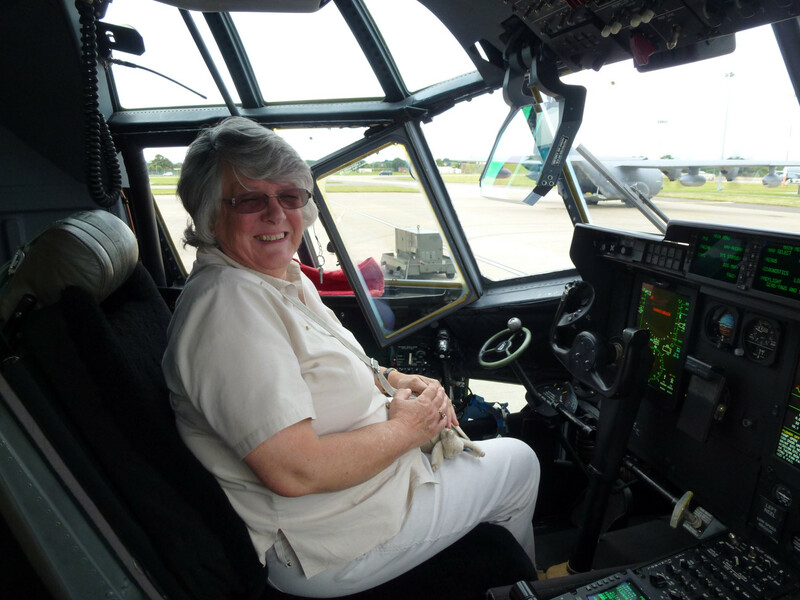 We were shown around this amazing airplane which we clambered all over, even sitting in the pilot and co-pilot's seats and investigating the huge cargo bay. 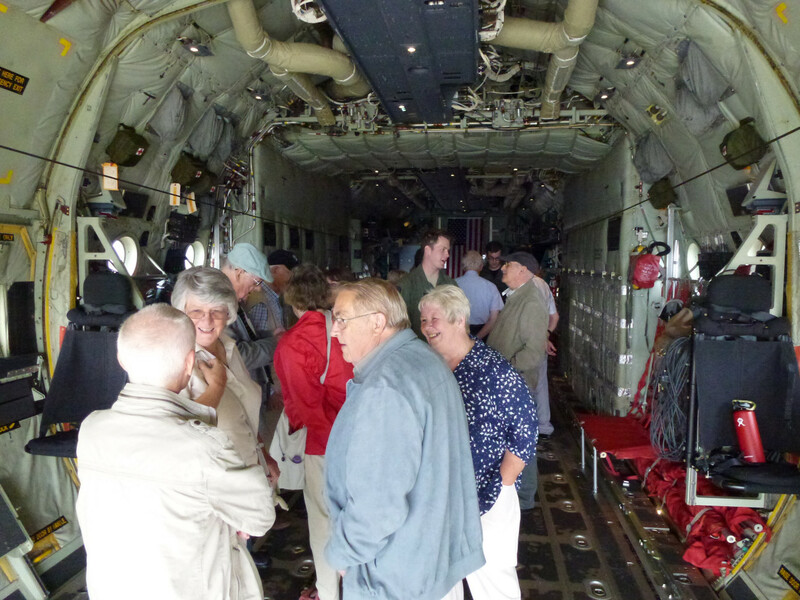 We were all amazed at the complexity of the hydraulics, wiring and even introduced to the loo (only one of) and told that at a squash, they could transport about 250 personnel although normally they mainly carry out in-flight refueling of aircraft and helicopters. Additional visits are planned for the future. A space big enough for a party! Sheila Kent about to take us up for a spin! 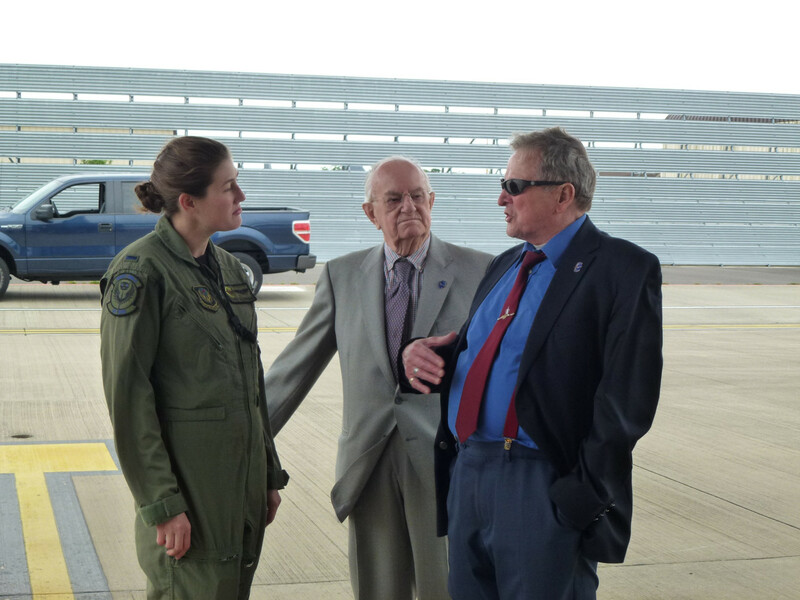 A group of 12 of us visited the 67th SOS at R.A.F. Mildenhall on Friday, 6th January 2017. 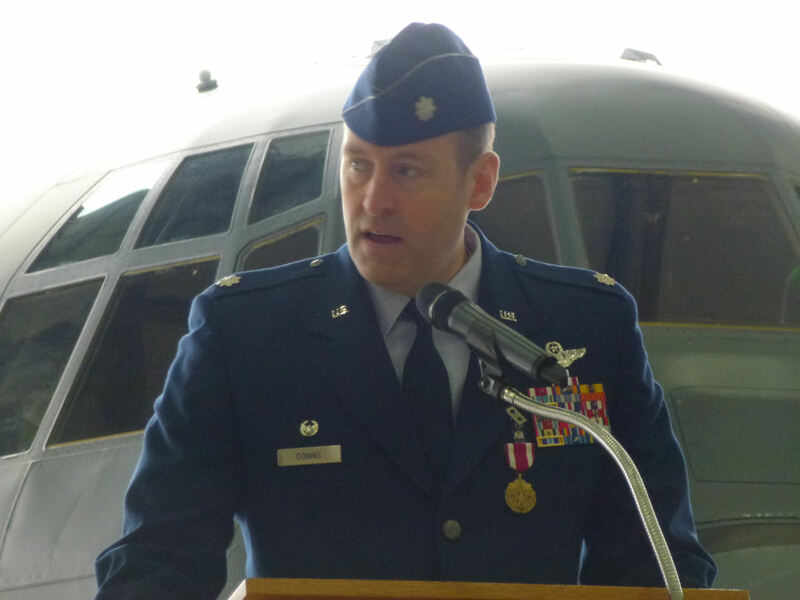 This was to attend the Change of Command Ceremony from Lt. Col. Bradley C. Downs to Lt. Col. Jason T. Wright. 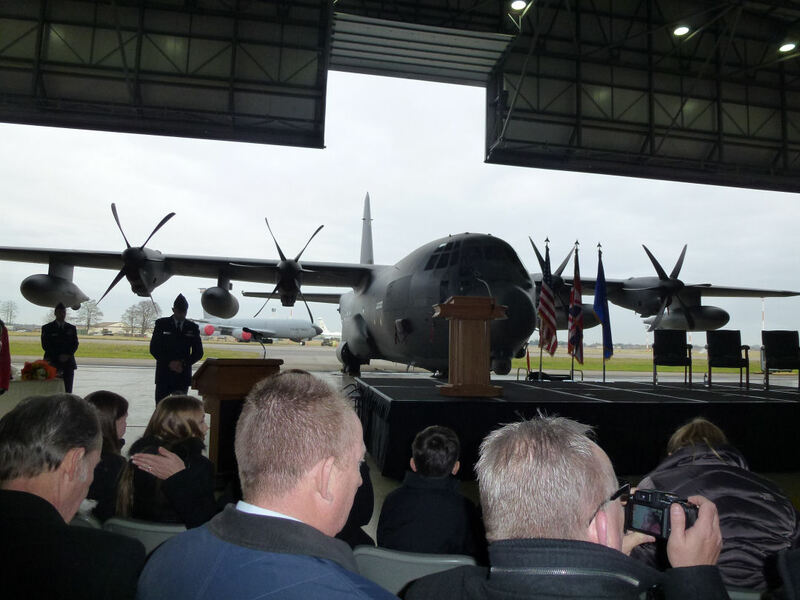 This important event began with a reception in the 67th SOS base offices following which we were escorted to one of their hangers which was opened up to allow one of their MC-130J Commando 11 aircraft to act as an impressive backdrop to the ceremony. We then returned to their bar ("The Parliament") for refreshments and a 'pig roast'. L to R: Lt Col Michael Gunn, Sqdn Ldr David Jones and Lt Col Jason Wright. 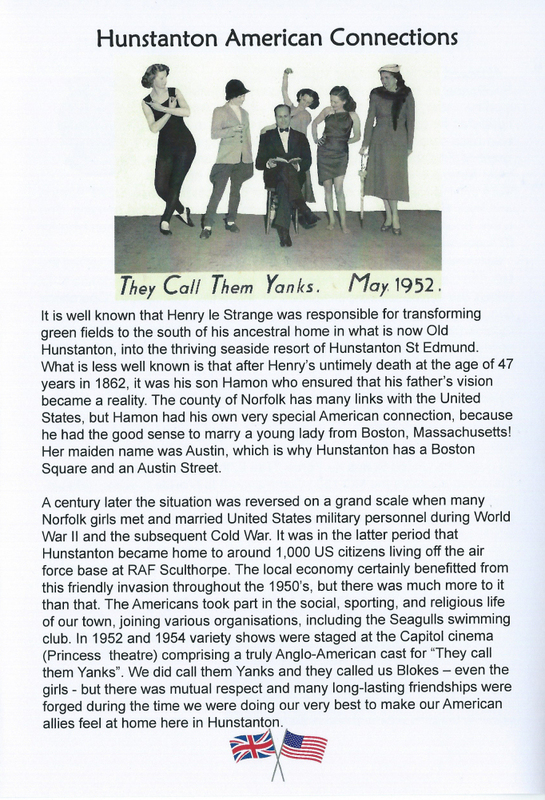 between Hunstanton and the USAF 67th Special Operations Squadron of which he is the Official Historian. after which we returmed home in our minibus. This was celebrated by the holding of a Dinner at the le Strange Arms Hotel on Friday, 17th November 2017. We hope to be able to add some photos of the event in due course.